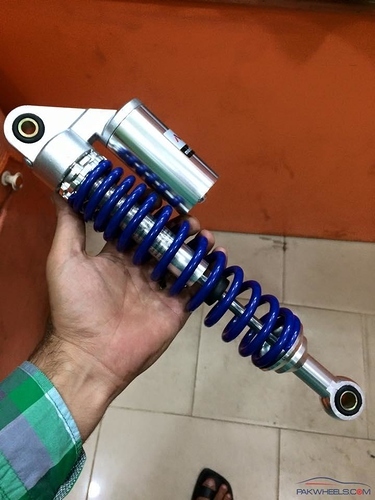 Is it possible to replace the rear suspension of 125 honda with the soft black colored spring suspension of ybr or suzuki or anything else ? Please guide. What's wrong with the current suspension ? Its hard as hell. Not for me. For pillion rider. I also will change and buy a cheap bad quality seat which at least will be soft as i saw once while buying friends second hand bike. The seat on 125 was so soft that i thought if i buy this seat i wont complain about hard suspension at all. But still. Hard suspension makes bike lose grip also. And i am 60kg guy who rides the bike mostly alone. Like out of 1000 km ride. I will ride 950 km alone. Even though my bike grip is very good due to front suspension. 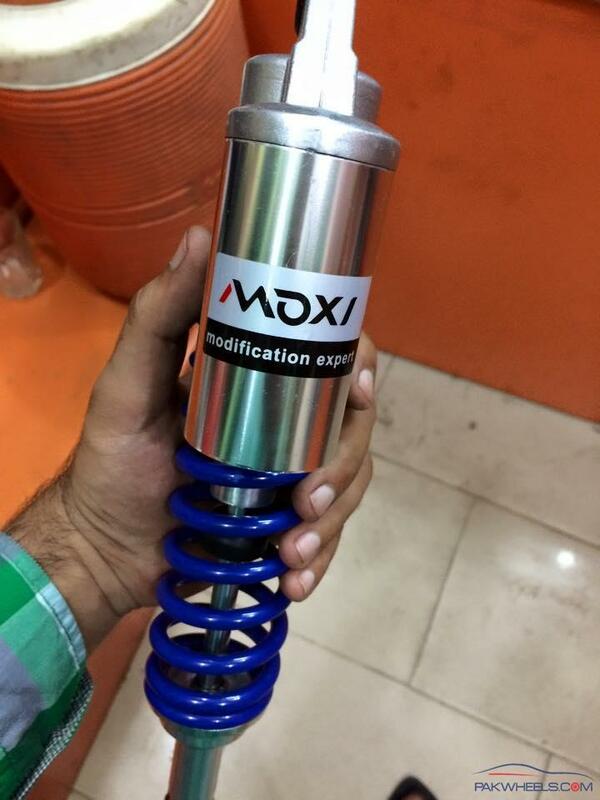 I wanna know whether the rear suspension height in ybr n suzuki or delux is equal to 125 euro 2??? 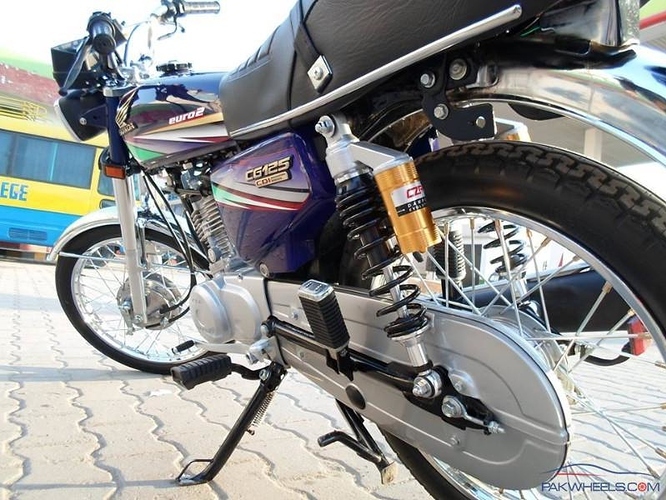 How about using Suzuki GD 110 rear shock's? Brothers i too have an issue with the rear shocks, CG 125 rear shocks make noises while going through bumps or speed breaker. Any solution for that?? Take to shock specialist. Shocks will be hanging at their shop. They will replace oil and soften the pump. Maybe put new seals. Except seals it will cost u 300 rs. Not more. And dont pay morr. Try to negotiate to 200-250 rs. Except seal price. Because they are opening both shocks at one time so it costs them the time of opening one shock but they charge for two separately. 200 is a good bargain. Meray shehar mei classic kisam ki mehran car ki tuning 200-250 rupay ki krtay hen brother. Usi shehar mei 300 pichli 125 shocks ke bhi mangnay walay hen. So u get the point how mych to negotiate. Otherwise find another shop. Why is there second pump without spring in last pictures. Whats the purpose. Maybe comfortable but looks ugly to me. Springs are there... Its just the angle at which the pic is taken. The bottle is covering the spring.